That was until as of five minutes ago, when I saw this tech demo for the Oculus Rift DK2. A company called Sixense Entertainment have tinkered away at a new peripheral that works in tandem with the Oculus Rift DK2 to enable full position and orientation tracking for both the user’s head and hands. Technical lingo aside, all you need to know is that it works. See for yourself in the video below. 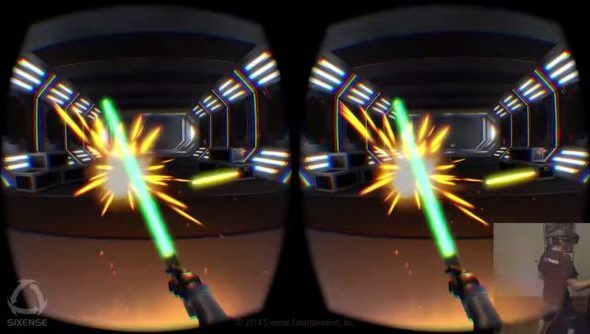 All you need now is an omni-directional treadmill and a fleshed our Star Wars VR game and you’re good to go! You can learn more about the STEM system, and check out more tech demos here. In the meantime I’m off to find my old Jedi robes; I hope they still fit.